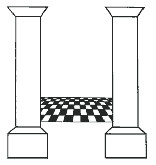 The Rule, Square, Compasses, Plumb, and Pillars are symbols with speculative meanings in their own right, to guide a Mason's conduct. Together in operative application this system of symbols captures a progressive process of scientific observation. The applied logic of these symbols teaches ancient math and physics necessary for building with stone, and for navigation. 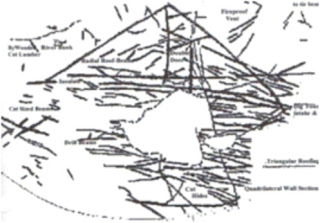 Earlier than Solomon's Temple, the Great Pyramids, Baalbek, or newly discovered (1994) Gobekli Tepe, the origins of scientific measurement are found throughout Europe, before the Dryas II Ice Age, and migrate southward after. 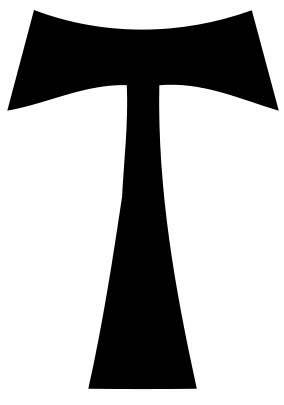 Like the very first stone hammer used two million years ago, these symbols of fundamental science are much older than chartered lodges, yet they are unique to this ancient fraternity. The symbols used exclusively in Masonic lodges today carry these ancient principles through times-past into time-to-be. Observing of the physical universe begins at a single point. A point doesn't have any height, width, depth, or volume, yet it provides basis for observation. Without the one-point origin, lines, circles, and spheres cannot exist. The single point is the first dimension where metric origins begin. 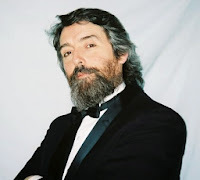 Our iris radiates around the center-point of our pupil - the original point of observation, the eye of the observer from which our vision radiates - encompassing panoramic landscapes or focusing on a single star twinkling red overhead. Through the lens of a microscope or telescope, the all-seeing eye watches from a single point. The Rule measures a one-dimensional, sequential, span. Between an original point and any second point is a line of infinite points in one dimension (height, width, or depth). From an original point, infinite one-dimensional lines radiate straight-out in all directions, like rays of light from a star. Each line can be gauged with a Rule and measured in the first dimension. A third point makes a triangle of three one-dimensional lines, a two-dimensional plane, and an area. Perpendicular centerlines that divide the plane into quadrants are called the x axis (horizontal), and the y axis (vertical). Any point on that plane can be plotted by using the Square to gauge the distances from each centerline. A two-dimensional circular plot is pie-sliced into parts by radiating lines from its center point. Any point on the plane can be plotted by measuring the distance from the center point, and the angle from its centerline. The Compasses circumscribe all radiating lines on the plane with a circle, and can then divide the arc into equal parts. Anchoring the centerline to the north creates a benchmark for headings. Direction can be navigated from the center point, or eye of the observer, toward any azimuth point with the Square and Compasses. Dividing the circle by 360° gives direction and heading, and is conveniently similar to the solar, lunar, and planetary orbits. It has long been discovered that by far the most practical division of a circle is into 360 equal parts - evenly divisible by 1, 2, 3, 4, 5, 6, 8, 9, 10, 12, 15, 18, 20, 24, 30, 36, 40, 45, 60, 72, 90, 120, 180, and 360. In a two-dimensional plane with the north centerline at zero (or 360) degrees, east is square at 90°, south is opposite north at 180°, and west is on the level with east at 270°. These are cardinal 2D principles carried from generation to generation in Masonic fraternity and ritual. A fourth point, off the plane, creates four distinct triangular planes, all connected, whose areas enclose a three-dimensional volume, or space. The fourth point can be plotted with a second radial plane, with a plum-line (z axis) that passes through the center point of the first radial plane. The third dimension can be observed with these two perpendicular radial planes defining a three-dimensional spherical volume, or space, with an equator and meridians. The additional point added for the fourth dimension is not a point in space, but a point in time. The first point in time, or beginning, is the origin from which change can be observed; change that can be measured, not in dimension, but in duration against its origin (Duncan-Enzmann). The rotation of a three-dimensional sphere around its plumb-line axis is a change or movement in the fourth dimension. As in the beginning, an original point in time doesn't have any height, width, depth, or volume, yet it provides a basis for a timed observation of change in the physical universe. A span in time, as in a span in line, requires two points. Between two points in time, the beginning and the end, is an observable, measurable fourth dimension - change. This two-point, binary (on/off), toggle system of measurement can be observed as bright stars cross a dark sky against a pair of parallel, perpendicular pillars. The fourth dimension - time marked by change - is measured by observation of the heavens through the Masonic pillars of Strength and Wisdom. 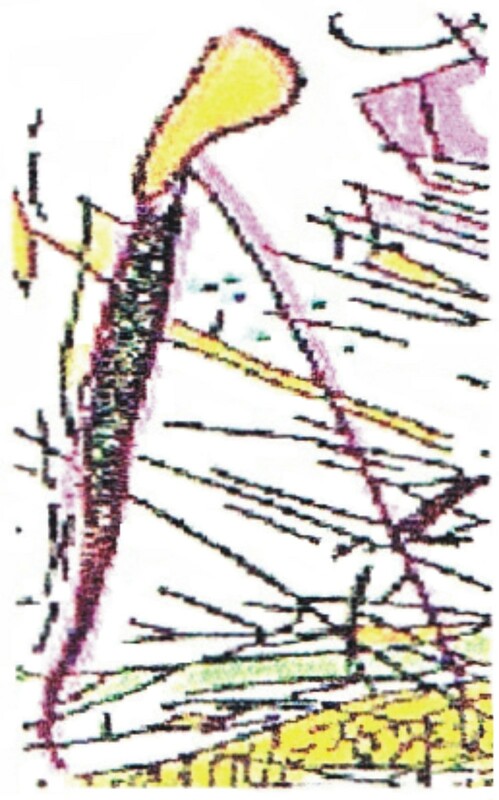 From the original point of observation, as stars move between the two pillars, the binary-time span is proved by operative tools measuring all four dimensions, height, width, depth, and time span. The ancient principles of scientific observation, dimension, and metrology are represented by the images we commonly call Masonic Symbols. 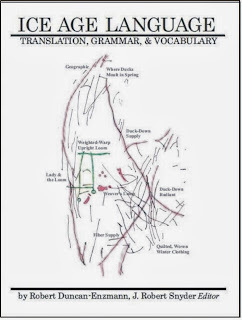 Translations of ice age inscriptions by Dr. Robert Duncan-Enzmann, compiled, edited, and published by J. Robert Snyder, White Knight Studio. An extraordinary look into our prehistoric past, provided by more than 1,000 extant ice age inscriptions from Gönnersdorf, Germany, ca. 12,500 BC, now translated to reveal their exquisite stories and hidden history. 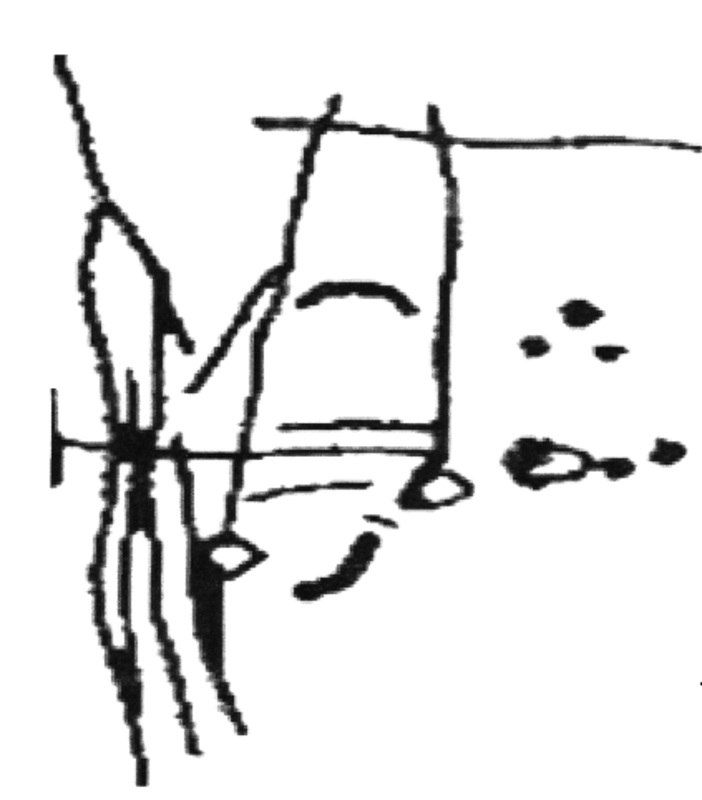 SHOWN: Rx symbol 12,500 BC, Gonnersdorf, Germany. Translated Duncan-Enzmann: Medicine Lady and Her Medicine. For decades I have followed the trail left by symbol-makers who practiced their craft in what we call prehistory. 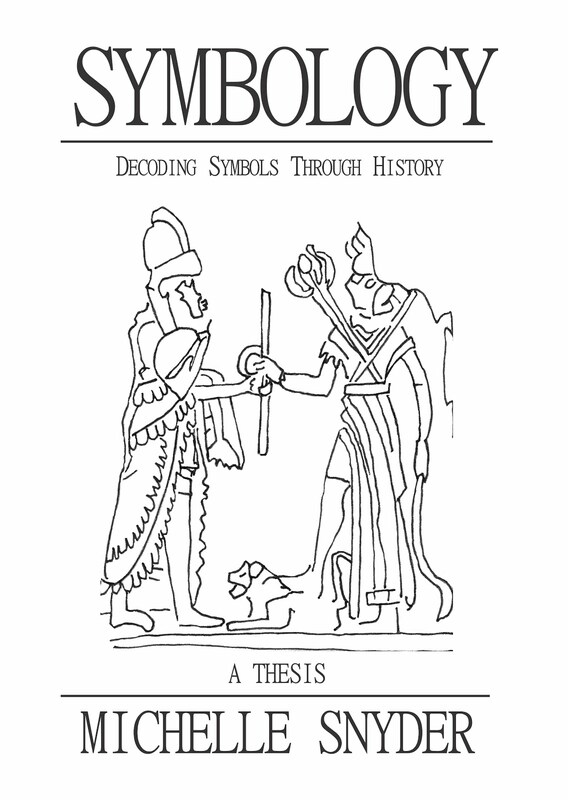 Here it is that a language of pictures was used to record the lives and knowledge of a civilization long since obscured by those that followed. As I first began to discover the origin of these images I experienced a sense of wonder and excitement as a revelation of our ancient world emerged. The story told by this picture-language is that of an intelligent and extraordinarily resourceful culture, one that studied the stars, built observatories, survived ice ages, and voyaged on the oceans. 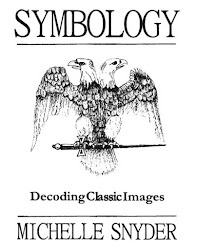 Symbology is the study of images and symbols in context, and the decoding of their origin and meaning. Context is all about geography, history, climate, and timeline. Context helps us determine whether an interpretation is likely to be correct or not. Take cave men for example. First of all, during the Ice Age there were few caves. But that is the smallest problem. It is easily 70 degrees below zero, and lighting a fire in a cave would not be smart. You would not generate enough heat to warm the cave with any opening, and if you blocked off the opening you would die of carbon monoxide poisoning. So I asked myself - how did they survive? That they did is obvious, we are here. The realization that there were no such thing as “cave men” began to create doubt as to other things I had been taught. I experienced a paradigm shift, and began to ask questions: who, what, when, where, why, and how? 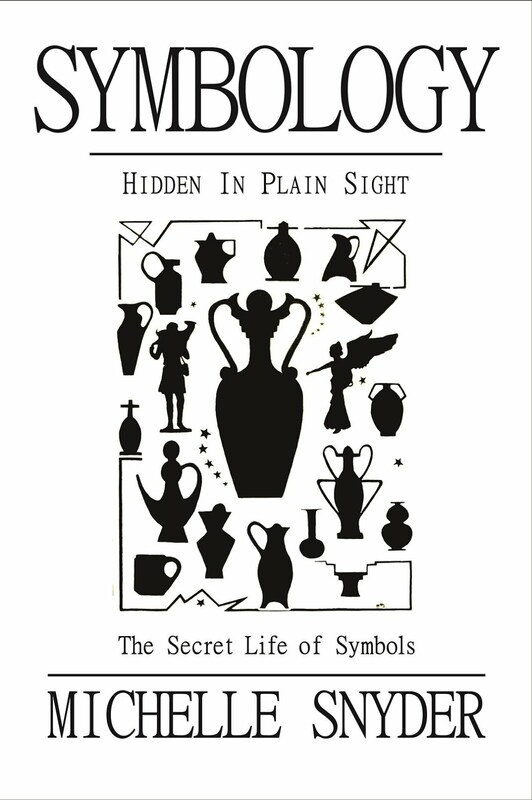 These questions plagued my mind, and I had to find the answers the only way I knew how – by researching and comparing the origin of more symbols, in context, to find their meaning. Knowledge comes in stages. I discovered that my geography was sadly lacking. Is it too much to ask that we at least know where things are on this rock called Earth? After all, we live here. 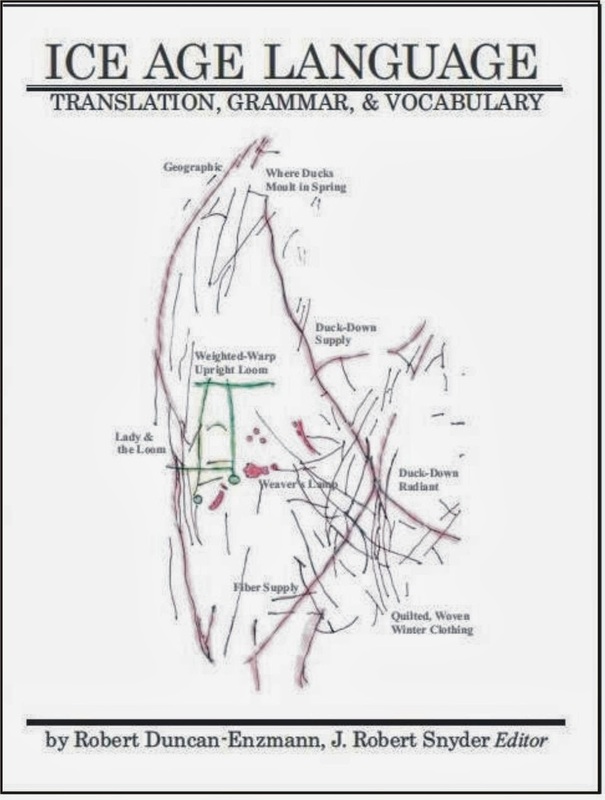 I consulted regularly with Dr. Duncan-Enzmann, who has translated inscriptions from the Paleolithic Ice Age. Among the translations is one for how to build a house. A triple walled house, with a fireplace vented under the house to circulate outside air into the pit to be warmed and mix with the air in the house. But that would not be enough to keep a family warm in fifty below zero weather. They also had heating stones, like the bed warmers of the pioneer days. Still not enough. Dr. Duncan-Enzmann shared with me inscriptions showing records of weaving, of looms, of collecting eider duck down, and quilting clothing. I began to see why they survived. 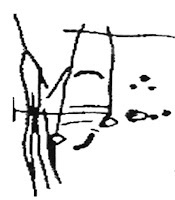 Shown: A lady (stick figure) with a shuttle in her hand standing in front of an upright weighted-warp loom, with her oil lamp and three lumps of fuel. 12,500 BC, Gonnersdorf, Germany, translated Duncan-Enzmann. The next question now is: why isn’t this known? Does it matter?, you might ask. I believe it does. Our perception of who we are today is affected greatly by what we believe history to have been. Be cautious – winners write history. So how do we know what is true? Look for yourself at what is there. Pictures tell us a great deal. Why bother, you might be thinking; I am concerned about my future, and the future of my family. But it is important. Our knowledge of the past is the foundation of the present. And our vision for the future depends upon our understanding of today. Learn about the past, and build a better future. I have spent decades researching and writing the story these ancient pictures are telling. This knowledge is powerful for many more reasons: Knowledge is a catalyst for personal growth, and knowledge shields us against lies and deceit. There is something uplifting about knowing that our ancestors were intelligent and industrious. They named the days of the week eight thousand years ago, and we still use the names. What has been forgotten is why those names, and why in that order? There were good reasons. Why is a good question to ask. Why is Venus female? Why is there a Gorgon in the center of the Aztec calendar? Why did we teach generations of people that the Earth was flat when its circumference had been measured before 6000 BC? Why don’t our latest generation of college students know about the Hudson Bay Slush Out (6000 BC) and its effect on the European waters like the Black and Caspian Seas? Those two bodies of water were once connected, and that affected where humans could have been and how they got there not to mention subsequent history. Perhaps you, like me, are also intrigued by the megalithic structures that mysteriously dot our landscape, or by civilizations that just disappeared without any record of why, or by stories and legends of places that might have been. Symbols are the door to this information. 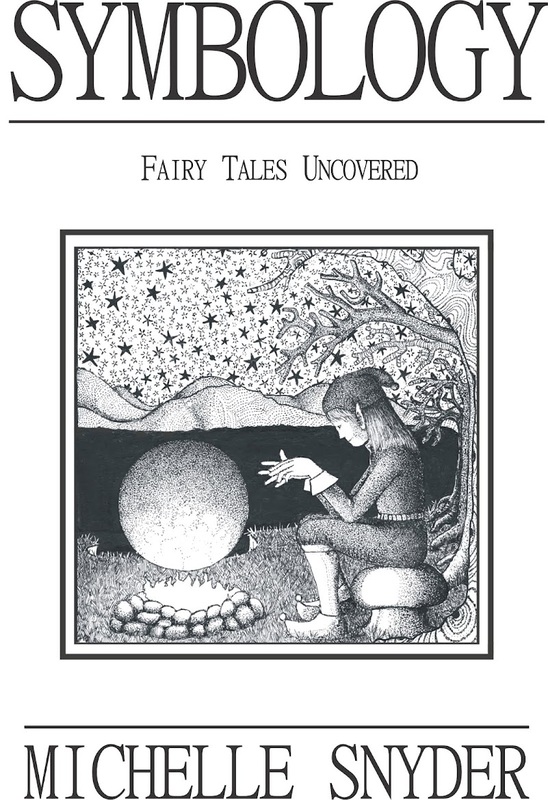 Decoding symbols, myths, legends, folklore, and fairy tales is the key to open the door. Many symbols are the records left by the people who built Gobekli Tepi and then buried it. This civilization was thousands of years old, and we can piece together their history by decoding the images they made. A good start is to know what the world was like geographically and geologically, and what the climate was. It all begins by asking: who, what, when, where, why, how. Context is crucial for accurate translation. Freemason symbolism is based on ancient tools that have changed the world dramatically for the better. For tens of thousands of years our ancestors studied events in the sky and recorded them: an approximate seven day lunar week, ca. 4200 BC, twelve zodiacal houses (ca. 22,000 BC) emphasizing fire-making, constellations Auriga and Cygnus, 365 sunrises per year, and ca. 20,000 BC - 366 star-rises per year. Information gathered improved their quality of life by creating more and more accurate planter's calendars. According to Duncan-Enzmann, simple pillars became accurate set pillars represented by Tau, when perfectly vertical and horizontal. Level is achieved with water. Here we could ask: Why did Jack and Jill go up the hill? Dew ponds collecting on top of chalk hills provide clean fresh water flowing down and out through little springs on the side of the hill. They are also perfectly level – wonderfully reflecting the heavens for observation from a level horizon. Vertical is found with a plumb-bob, which is mentioned in Christian Scripture: "Thus he shewed me: and, behold, the Lord stood upon a wall made by a plumbline, with a plumbline in his hand. And the Lord said unto me, Amos, what seest thou? And I said, A plumbline." (Amos 7:7-8) Nothing has changed. True vertical is still achieved with a plumbline, or plumb-bob. With near perfect vertical and horizontal, a fundamental tool of masonry developed: the square, the symbol of ethical living "on the square;" living with integrity and sincerity. These tools enabled a more accurate planter's calendar, used ca. 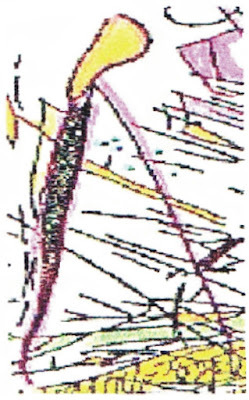 8200 BC by the Green Man, plowing the fertile Danube flood terraces. By 6200 BC a much improved agricultural calendar was in use by very fair Maglamosian Green Girls, who's fair skin and hair developed from surviving centuries of fog and overcast weather. During times of little sun, fair hair and skin absorbs more vitamin D, preventing Rickets. True north is not always marked by a star. Sometimes it a dark space in the sky. Ca. 5200 BC, Vanir Green Girls, to find north when there was no north star, bisected the circle made by the stars' rotation, finding its center - true north. They then bisected the north/south axis mundi to find east/west. Oral tradition, symbols, rituals, games, myths, stories, and fairy tales all play a role in preserving the history and knowledge of humanity. The art of weaving, net making, the string game Cat's Cradle, and the knitting pattern of casting all embody the mathematics of dividing lines and circles, convey the art of stretching the cord, and determine the length of the rod - the Megalithic Yard used to standardize a continental utility of planters' and mariners' observatories such as Carnac, Goseck, Stonehenge, Newgrange, and Externsteine. Set pillars accurately divided time, making a better planter's calendar which increased the production of food and tools, greatly improving human life and creating wealth through trading. Two pillars, straight and true, became J & B, today symbolized in the world's currency, universally displayed and sadly ignored. Coins and currency made trading easier and swindling more difficult. Sirius Rising - Happy New Year! We have orbited the sun again, and now it is time to change the numbers; 2018 becomes 2019. The past year is memorialized in blogs and posts and newscasts and photos and instagram, portraying images and stories considered important during the past 365 days. 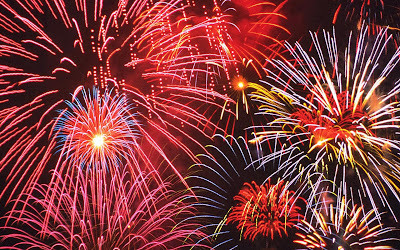 Perhaps you have always practiced a turning-of-the-year tradition, perhaps you are new to New Year celebrations at midnight on January 1st. In some cultures like Egypt the new year starts at harvest time. Why does our year change when it does? It all has to do with Sirius, a very bright star that has guided navigators for millennia; in fact it is the brightest star in the sky. It is actually a binary (double) star which has been observed since prehistory. Ptolemy of Alexandria used Sirius as the location for the globe’s central meridian when he mapped the stars. Sirius is called the Dog Star, due to its position in the Canis Major (Greater Dog) constellation; many cultures associate this star with dogs. Sirius marked the coming of winter for the Polynesians, for the Egyptians it foretold flooding of the Nile, in Greece it accompanied the hot, “dog days” of summer. Its name means sparkling, or scorching. 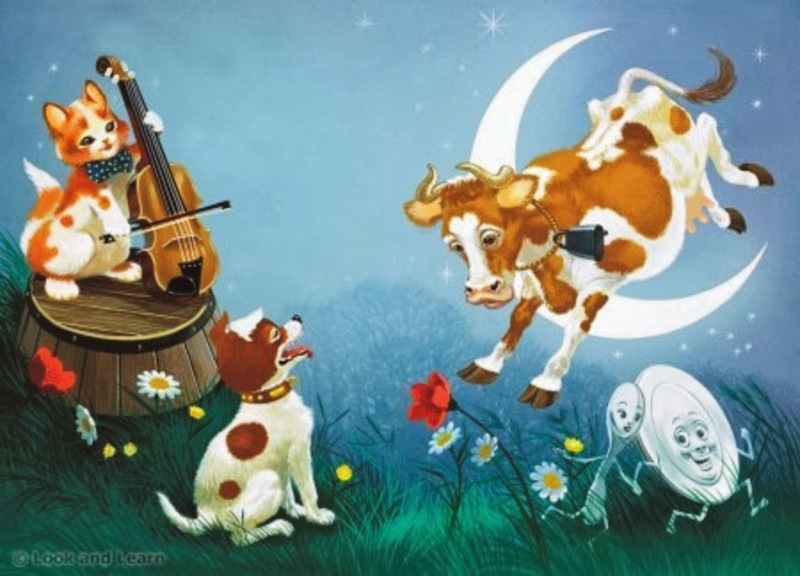 In the children’s rhyme Hey Diddle Diddle Sirius makes an appearance: The little laughing dog is Sirius in Canis Major, marking the growing season which “laughs” bountiful; the dish and spoon are so full - it is more than we can eat. In ancient times Sirius was called the "Star of the Sea," and was depicted as an inverted pentagram. Some early American flags connected with the Navy displayed inverted stars, like the one flown by Commodore Perry in 1854. A rare contemporary usage of the inverted pentagram symbolizing Sirius is the American Medal of Honor. Eight thousand years ago the Vanir astronomers worked out the geometry and trigonometry necessary to accurately measure the distance and movement of the stars and planets (Enzmann). They devised the calendar, named the days of the week, and discovered the accuracy of the Venus clock – with which we set the world’s clocks until the 1970’s. They also observed the cycle of Sirius, and began the year with its pinnacle. The symbol for the Venus clock - the pentagram - is sometimes used for Sirius. Knowing the time is one thing, knowing when to reset the clock is another. Once a year, when Sirius is opposite the sun, it rises when the sun sets. This marks a new beginning: A new year rings in at midnight, the moment it reaches its highest point in the sky on the celestial meridian. 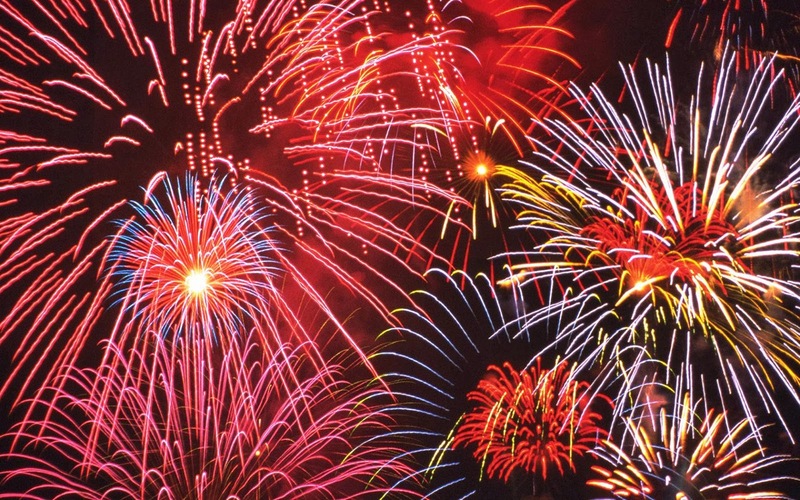 To us it is the New Year Star, a blazing reminder that our orbit starts again. At this new beginning humans like to make a new start. New Year’s resolutions abound, good intentions are had by all. We promise ourselves we will avoid the seven deadly sins, be nice to our in-laws, go to the gym three times a week, and give up that one sweet treat we always regret eating. Sometimes we keep our promises, sometimes not; but each year Sirius gives us another chance. Another new beginning. As long as we live the Earth will turn, the Sun will rise, and Sirius will start a new year. This year, promise to do something that will last, something that will create precious memories, new traditions, or a family legacy. That way, when we are gone and the Sun still rises, something of ourselves will continue; an immortality of sorts.